I agree the same can be said for online entrepreneurs. Very few endeavours in life will give you the opportunity to discover your true self and come face to face with your fears, limitations, frustrations, and biases. The biggest battles entrepreneurs face are with the forces within. And until the psychological distractions within are tamed, it is impossible to achieve any level of success on the outside. In this article, I share four major psychological obstacles that often stand in the way of many entrepreneurs and a few tips to help you get beyond them. Most online entrepreneurs start their business journey alone. Armed with a brilliant idea and a compelling vision, they can’t wait to build the business of their dreams. In the beginning, it’s very likely you will be running the business alone. 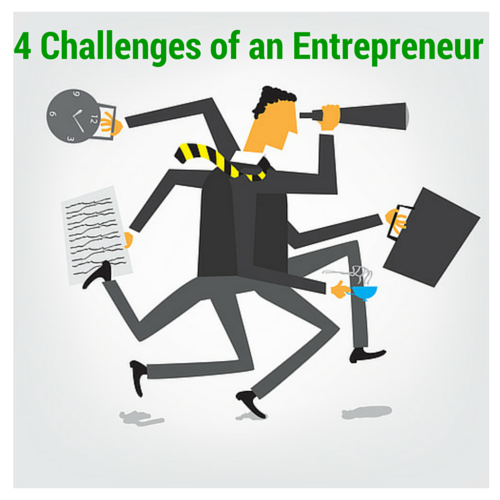 Most entrepreneurs adapt by learning how to juggle several balls at once, and with time, they get good at it. They also get very used to being in control and doing everything by themselves. But nobody, however energetic or talented, can build a business alone. You will need help. At some point, you will need partners, employees or investors. At some point, if you want to be successful, you will have to give up the art of juggling several balls and wearing all the hats. The Hero complex is one of the big reasons why some businesses remain a “one-man business” for a long time. Such businesses hardly live up to their true potential. Remember, a business is only truly a business when it becomes a system that can run even when you’re not there. To make this happen, you need to learn to trust, develop and lead a team of people over time. To escape the hero complex, you will need to stop being a labourer and learn to become a leader. One of the major challenges entrepreneurs face is distraction. And very often, these distractions come in the form of impressive opportunities – which I call “shiny objects” — that need to be pursued immediately. As a result, some people keep chasing shiny objects and lose focus on the one thing they should be working on. Staying focused is often a very big challenge for entrepreneurs, especially if their current business or project is not moving fast enough or yielding the kind of results they expected. And when a new opportunity comes knocking, there is a temptation to abandon the current project and chase the “so-called” brighter opportunity. Over time, this leads to a string of false starts and partly-completed projects, and then they realise how much progress they could have achieved if they stuck to one project. To avoid the shiny object effect, you must first realise that as an entrepreneur, bright ideas will always come your way, but it’s your job to order your priorities, and stay focused and committed to your existing project. If you want to move on to a new shiny object, you have to complete the existing project first or move it on to capable hands before you earn the right to jump on the next bright idea. Some entrepreneurs spend a lot of time tinkering with their product before they officially launch it. They want it to be a big hit from the time it’s launched so they waste a lot of time in design, planning and production. Most times, no matter how perfect you think the product is, its likelihood of failure is still high and there are two reasons for this. First, it’s likely you’re thinking in terms of features – things like design, functionality and beauty that really don’t mean much to your target customers. Remember, customers, care more about benefits, not features. The second reason a “perfect” product is likely to fail is if you’re assuming you know what your customers want. And according to this survey, more than 40 percent of young businesses fail because their assumptions about their customers were wrong. To first step to avoiding the perfect product fallacy is to accept that you could be wrong. Accepting this fact alone reduces the temptation to build a perfect product before launching it. Rather, you should build the most basic version of your product – which could be a prototype, pilot or sample – and then use that to test the market’s reaction. Accepting the fact that you could be wrong is a humbling experience that can save you tons of sweat and tears down the road. Tunnel vision is a tendency to focus on a single or limited objective. People who come under the spell of tunnel vision have already made up their minds on their version of reality and find it difficult to listen to or accept the opinions of others. The bottom line is, when tunnel vision sets in, we believe we are right and there’s no way we can be wrong. Tunnel vision often manifests itself in several different ways: ignoring feedback from your customers, refusing input and opinions from your employees, or overriding important advice from partners, experts, mentors or advisors. Again, like with the perfect product fallacy, the first step to breaking out of a tunnel vision is to accept that you could be wrong. Being open-minded and listening to others is critical to avoiding the consequences of the tunnel vision effect. Another problem online entrepreneurs face is that they do not treat their online business as a proper business. Draw a business plan, come up with strategies, register your business and make everything official. 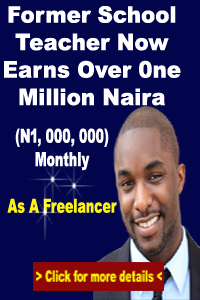 I can teach you how to make passive income via affilaite marketing. 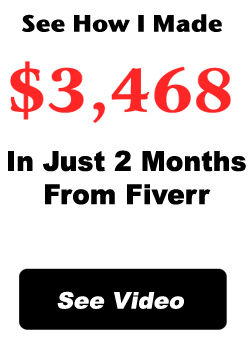 You can also register here as a freelancer and earn some extra money.